Germany has changed a lot since I moved to Norway more than a decade ago. But, the one thing that hasn’t changed for me and all Werder fans in the time that has passed is our relationship to the Hamburger SV. Kalte Muschi is actually a drink associated with the FC St. Pauli. Posted in Bundesliga, road trip and tagged Borussia Mönchengladbach, Hamburger SV, Imtech Arena, Michael Oenning. Bookmark the permalink. A gentle breeze, blue skies, and the sun shining. The summer has hit Norway’s west-cost, and it there to be enjoyed. Girls in skirts, lovely pints during hot summer evenings, reading in the garden while having a huge cup of tea. Life couldn’t be more lovely. I’m enjoying the evening sun from my garden as I’m typing this. And the Pinot Gris I’m drinking is excellent. A tad too acidic maybe, but still excellent(wine ponce-dom soon to come). Sometimes I manage to block it out, go back to my book, or a lovely girl passing by takes my mind of things. Eventually though, this voice gets the better of me, and since the internet and all those lovely papers reporting on transfers, and transfer rumors are now available on my smart phone I’ll give in. Given the content that is published on the football pages throughout the summer, one has to say that it all seems like a strange kitchen sink drama. A version of “Coronation Street” for balding, aging fat men. And me. Player A has left club C and plays for X next season, and C’s deal with F has fallen through, because of club Y giving F a better offer at the last minute. The only thing missing is actors from South-England imitating a Yorkshire accent. Lars Aabjerg Pedersen of Pondering Calcio wrote this excellent piece regarding the media frenzy during the summer. If you follow those guidelines you will 1. remain sane, and 2. you are more likely to see through the fog of all those transfer rumors. I will add a couple of Bundesliga specific rules to that list, and hopefully you’ll be good to go. 1. The two leading(most read) German football sites are Kicker and Bild these days. Their reporting on transfer rumors is often based on their own sources. Both of them appear to have excellent sources when it comes to the dealings of the giants of German football. Bild is most of the time spot on about what will happen at Bayern Munich. Kicker do often quote reliable sources in their stories. If the story you are reading meets those criteria, there might be something to it. Is the paper Bild/Kicker is/are quoting usually a reliable source? Do they have the access that could give them the opportunity to report accurately about the dealings of the club they are covering? If the answer is “yes” there might be some truth to the story. However, if the local paper that is quoted gets a lot of things wrong, don’t get too excited about what you are reading. Case in point: Last night a small local paper from the Hannover area wrote that Christian Pander had signed for 96, and some bigger German papers jumped on that story. Turned out Pander didn’t sign, at least according to himself. 2. If a Bundesliga transfer rumor is first reported outside of Germany there is most likely nothing to it. Case in point: News of the World reported that Nasri would sign for Bayern, because Ribbery was about to leave Bayern Munich. Another one from this week: Italian media outlets reported that Bastian Schweinsteiger was on his way to AC Milan. If a rumor involving such an enormous transfer were to be true, it would first or simultaneously appear in a German publication. Remember: Bild, Kicker and local publications are always monitoring the situation around those players, and they wouldn’t miss such a move! This sort of thing is their bread and butter. 3. If a player is linked to Bayern Munich, and the player himself confirms that he wants to play for them, he’ll usually end up in Bavaria. Don’t take sporting directors saying “we’ll never sell that player to Bayern” at face value. They are trying to negotiate a better deal for their club. Case in point: Manuel Neuer and his transfer to Bayern Munich. Take a look at Pondering Calcio, and follow Lars on Twitter as well. You won’t be disappointed, I promise! Posted in Bundesliga, Transfers. Bookmark the permalink. I wanted to write a season review of this year’s crazy Bundesliga season for my tiny little, and pokey, blog. Come to think of it, now that several people refer to my blog as NM, which is short for “never mind” and “nothing much” amongst the youths of the interwebs, I could even claim that my blog is beyond pokey. But, “NM”. 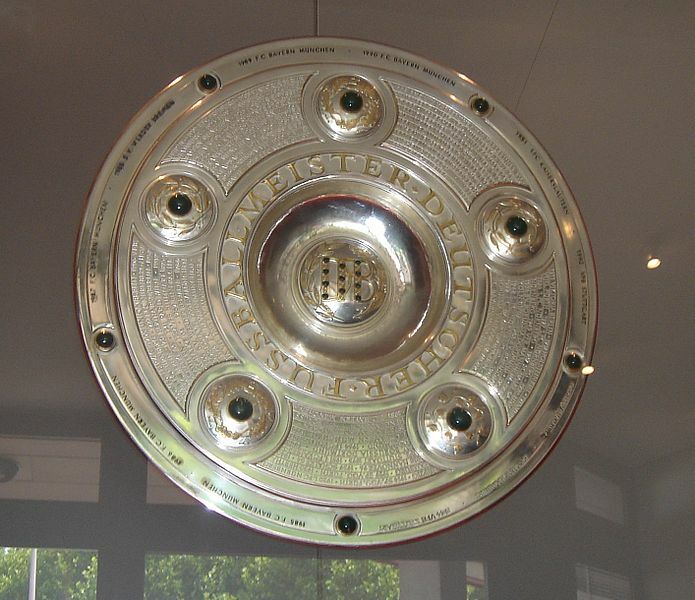 Posted in Bundesliga, Bundesliga history, Bundesliga round up and tagged Bundesliga season review. Bookmark the permalink. The Norwegian connections: How have they fared? On the 17th of May 1814 the Norwegian constitution was enacted, and we mark this occasion by feeding children far too much ice-cream, sausages and lemonade. Furthermore, people march in the streets, wave Norwegian flags, the national anthem is sung, and Norway is celebrated for all its glory. Posted in Bundesliga and tagged 17th of may, Chinedu Obasi, Didier Ya Konan, Flamur Kastrati, Håvard Nordtveit, Heinz Müller, Kristian Nicht, Mohammed Abdellaoue, Norwegian national day, Per Nilsson, René Klingbeil, Rob Friend. Bookmark the permalink. Ståle Solbakken: what can Cologne’s fans expect? Ståle Solbakken, many German football fans might have heard the name of FC Copenhagen’s coach, but wouldn’t know what to expect from him. As it turns out, Ståle “Salvatore” Solbakken is amongst the most exciting coaches in Europe right now. Posted in 1. Fc Cologne, Bundesliga and tagged FC Copenhagen, HamKam, New Köln coach Solbakken, Ståle Solbakken. Bookmark the permalink.